Zikr Dance Ensemble appreciates your support. Please consider a donation to our organization today. "I really enjoyed it greatly—the dance --and the technical features-- were just excellent!" 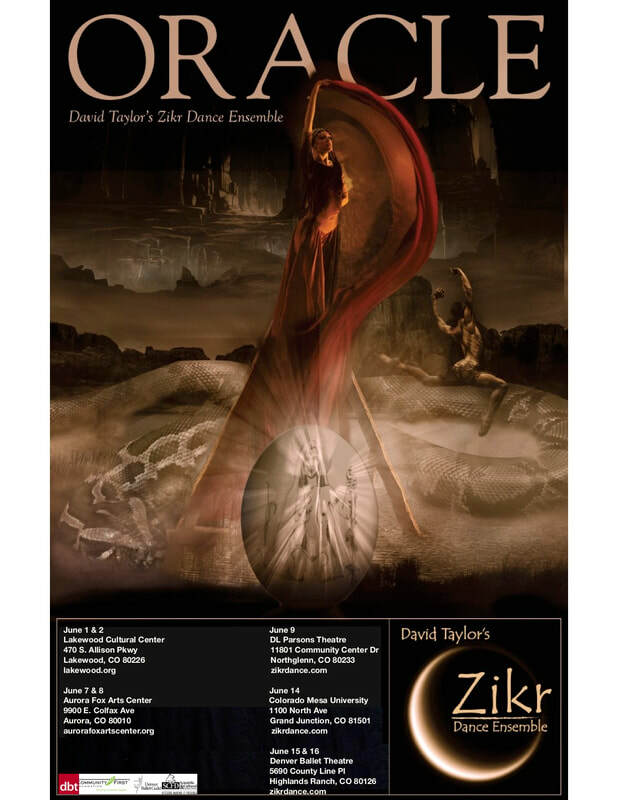 Zikr Dance Ensemble's 2019 Season is entitled "Oracle" and will feature the world premiere of a new work by Artistic Director David Taylor of the same name. The inspiration of "Oracle" comes from the Greek legend of the Oracle of Delphi, the most important shrine in all of Greece and considered to be the omphalos - the center (literally navel) of the world. The legends claimed that the Pythia, the high priestess of Apollo, sat upon a tall gilded tripod that stood above the opening of a large chasm in the subterranean rocks of Delphi. In a frenzied state induced by vapors of the decomposed Python rising from a chasm in the rocks, she gave prophecies to supplicants from all over the world in her own voice. Also on the program will be a reprise of Zikr's critically acclaimed "Runes" and the audience favorite, "In Your Eyes"
2018's Runes has been called a "Masterpiece" by audience members. "One of David's best works yet". Zikr Dance Ensemble wishes to gratefully acknowledge its major sponsors of its 2018 Season: The Scientific and Cultural Facilities District, the Denver Ballet Guild, Colorado Creative Industries, and individual sponsors LaFawn Biddle, Arthur Bridge and Meredith Coonley, and David Andrews.